All of GB3OA’s output is being streamed through Shoutcast, the internet audio streamer. To listen from anywhere in the world you can go to http://shoutcast.com and search for GB3OA. However, note that when the stream is taken down temporarily for maintenance some players handle the start of the new stream differently. The answer is to refresh the player. 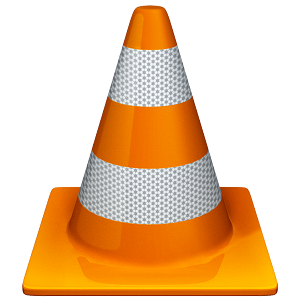 Our recommendation to listen in from a PC, Android, iPad or iPhone…..
After substantial testing we recommend using VLC Media Player by VideoLAN or VideoLABS. Look for this logo: It handles the stream well and doesn’t need refreshing after the stream has been taken down for maintenance. The PC version has extra features too (go to AUDIO > VISUALISATIONS). By using this address along with VLC itself, you’ll find that the stream remains solid even with a flaky wifi, 3G or internet feed. Note that in the PC version in TOOLS > PREFERENCES > ALL > INPUT CODECS, that TCP CONNECTION TIMEOUT should be set to 5000, and NETWORK CACHING should be 1000. The latter can be increased if you have a particularly bad connection. How is the audio stream generated? Technically, the constant audio stream is achieved by feeding the receiver output from a Baofeng UV-3R HT into a 50p-sized USB soundcard which is connected to a Raspberry Pi. Two programs are used in the Pi – ALSAMIXER sets the audio level and DARKICE converts this audio into 32kbps MP3 audio and sends it to the Shoutcast server as data. With all this going on the load on the Pi CPU is only 13%. Also, DARKICE has been compiled with the MP3 LAME encoder which processes the audio. Sometimes the audio via Shoutcast may sound better than direct through your own rig! Hey guys, just a quick question about the streaming config please. I’m experimenting using the raspberry pi to use it as an audio streamer via the 3G mobile network to stream binaural audio as a portable device. This works, but only by also having another PC on a separate WAN connection, I am using winamp on my main PC to connect to the Pi, then using the winamp plugin to send that stream to a shoutcast server. Ideal would be to have the PC removed from the setup so that from a script at the command line, the Pi joins the 3G network (done) starts Icecast and darkice (done) then tries to connect to my shoutcast hosting server (banging head against wall). I’ve tried the darkic.cfg to point to the shoutcast server, but I get connection errors and darkice falls over, tried talking to the help desk but every reply is by someone else, and they don’t read the previous messages (terrible!) It’s the [shoutcast] section in the darkice config that I think is causing troubles, think that it maybe the config file isn’t quite formatted correctly. Could any of you perhaps point me in the right direction. We’re using a 3rd party intermediary which we pay for between the Pi and Shoutcast. This is good as it has a fairly sophisticated menu system. However, the script should be the same. I’m not sure you can stream directly to Shoutcast, but they’ve changed things a bit recently and I think if you accept ads you can now stream direct. tl = Communicate with the World! One other point is that I stream form the Pi to the internet router via a wifi dongle – there is no cable connection to the router, so if you could do this to your 3G smartphone then there should be no problem. You would obviously have to allow the Pi’s IP Address into your smartphone. Hope this helps, otherwise I would try asking on the Pi forum. Many thanks for the fast reply. I will check the darkice.cfg to match your tags, I may have omitted something there perhaps. Yes I used the same link to setup a streamer, though as an after thought tried plugging in a 3G dongle rather than a wifi dongle. So switch on and it starts icecast, darkice, the the sakis3g, which then connects the pi to the network, but to start the stream I have to login to the hosting streamer, click the start radio, then use winamp on my pc to play the url, then I can forward that through the shoutcast app within winamp. I am hoping to try a paid service if this is reliable, as by then I would hope that as long as the hosting server is switched on, that the darkice config file will connect to the host server without user intervention, the dynamic IP would not be an issue then. If you have headphones, please wear them and expect the unexpected experience. Thank you very much for the info. I will try looking at the cfg later. Thought I would pop by let you know that I have been successful in streaming from the Pi with just using Darkice, it streams to an Icecast server in France (it is a part of the world wide microphone network project), which has caused a flurry of interest, and has given many a very big surprise when listening. True binaural “3D” audio, so headphones are a must else its like watching a 3D film without the glasses. Tested Darkice recently to see how well it handles 96KHz, Pi B+ tops out with a few dropouts, so I guess Pi2 could do it, maybe I will try it sometime. The issue before hand was a compatibility issue with the server I was trying to connect to. The ears project is on my blog too. I ended up in Elsetree Studios in London, at the end of November last year, just after commenting on your blog, with both my home made binaural mics, in a Foley studio with actress Freya Berry, an awesome experience it was too. I’ve also got a Raspberry Pi in a tube, which is also streaming, complete with ears, this is a portable streaming microphone that can be streamed from the 3G/4G or wired LAN, and soon wifi too.